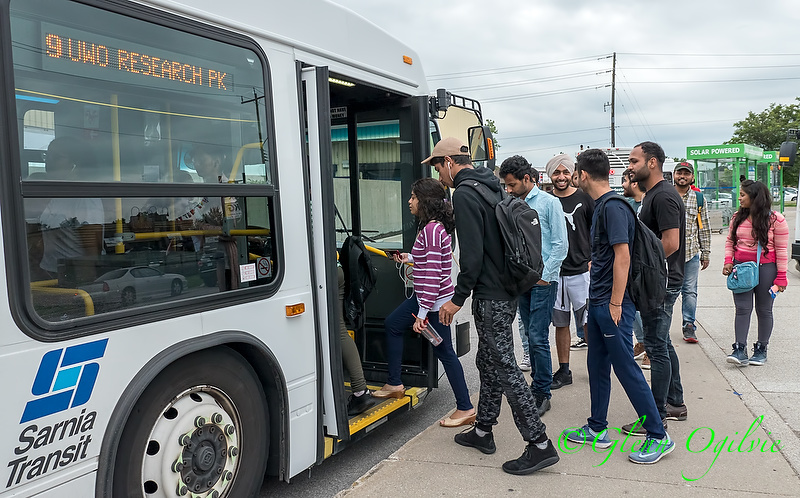 A rapid increase in the number of international students attending Lambton College is driving sweeping changes to Sarnia’s bus service. Sarnia Transit will get its first major overhaul in 20 years starting Sept. 1, in large part to accommodate dramatically increased student ridership. Improvements are coming across the system, said transportation manager David Jackson. The number of international students at the Sarnia campus has more than doubled in five years, to 772 in 2017. Even more are expected again this fall. Many of the students live in the Devine Street corridor where morning buses are often filled to capacity, said Jackson. “The new plan will have three routes servicing the college and increased frequency on Devine,” he said. The other two routes to the Sarnia campus will cover Sherwood Village. For years, the city’s bus service was plagued with high costs and low ridership. But last year it posted an all-time high of 1,282,587 passengers. College students account for 27% of the ridership. Last year also saw an infusion of cash for new buses and transit depot upgrades. A combination of provincial, federal and municipal funds generated $3.75 million for 12 new buses, new bus pads and shelters, cameras on buses, and new Care-A-Van scheduling software. As a result, about half the fleet is new. An advisory committee of riders, managers, inspectors and operators provided input on the route changes approved last month by city council. “It’s an ambitious timeline,” Jackson conceded. “But we have a lot of people working on it and we are now finalizing the new schedules and maps. The city is also partnering with Transit App to provide real time bus information on android and iPhones. The app can be used to track the location of a bus, provide departure times and review route options. 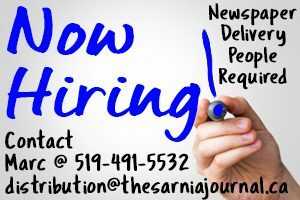 Sarnia’s website will also have the new schedule posted. City staff is doing preliminary work for a new transit terminal in Sarnia’s east end, likely in the Lambton Mall area. It’s hoped more upper-tier grants will be available for a new terminal next year, Jackson said. Funding is also in place to upgrade the shelter and seating at the Bayside Centre terminal. However, that work won’t begin until the developer firms up its plan for Bayside. EXPRESS BUS: Depending on need, provide express bus between major destinations.